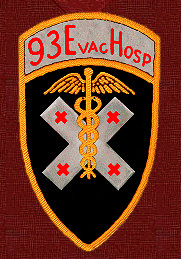 The 93rd Evacuation Hospital - Commanders ! 27 Sep 45 - 1 Nov 45 LTC Albert N. Stevenson Jr.
? ??? 58 - 24 Sep 60 LTC Lloyd W. Dezarn Jr.
? Jan 66 - 8 Aug 66 LTC Walter C. Gordon Jr.
9 Aug 66 - 16 Oct 66 LTC Robert W. Irwin Jr.
17 Oct 66 - 11 Feb 67 LTC Louis E. Harmon Jr.
3 Oct 80 - 9 Sep 82 LTC Theodore C. Reineck Jr. 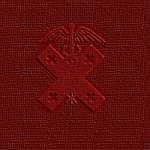 If anyone has information on the pre-WWII Hospital Commanders, send it for posting! We are lacking any information from when we were the 61st Surgical Hospital !